..Great Book, One of the best I read last year. 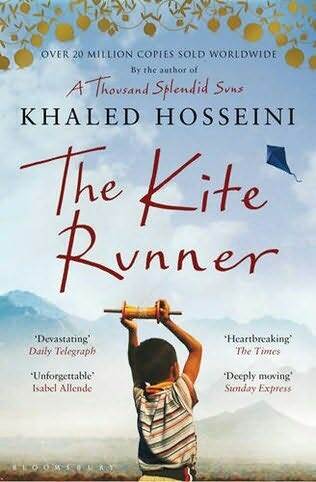 Khaleed Hosseini is a great writer…You should read a thousand splendid suns too. You are so right on the money about the unmitigated joy the feeling of the pages of a real book gives. It is inexplicable to me. I have the writer’s latest, “The mountains echoed” in soft copy and I have not been able to read it. Right now I cannot imagine a world without hard copies… Lovely review as always bro…. Too many books to read jare. Only just finished Carlos Ruiz Zafon’s ‘Angel’s Game’. Great book but I think that his ‘Shadow of the Wind’ is the most awesome book ever! Truly, what will this world be without our hardies? May the heavens save us! Chai! I will not try to compete with your list o! Hmmm….. Oh well, I like the list. I might borrow some part of it. Maybe we should share book lists. I wish you will begin to take some e-reading notes… As Topazo said, let’s enter the 21st Century! Abi? And books you can’t get easy access to can be yours with just a single tap on your screen. The possibility is limitless! nice review…let me run to kindle and get me an e-copy!